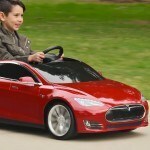 Even established automakers will feel hard-pressed in competing with today’s leading maker of electric cars, Tesla Motors. Not McLaren Automotive though. 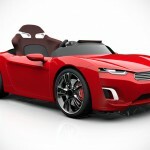 The British sport car maker has plucked up the courage to go head-to-head with Tesla with its very own (and first ever) pure electric ride, well, albeit in a very much smaller proportion and also, it is not actually competing with Tesla Motors’ regular road-going electric rides; instead it is probably more like competing with Tesla Model S for Kids, you know, that cool tiny ride made by Radio Flyer. Yes. You heard that right. 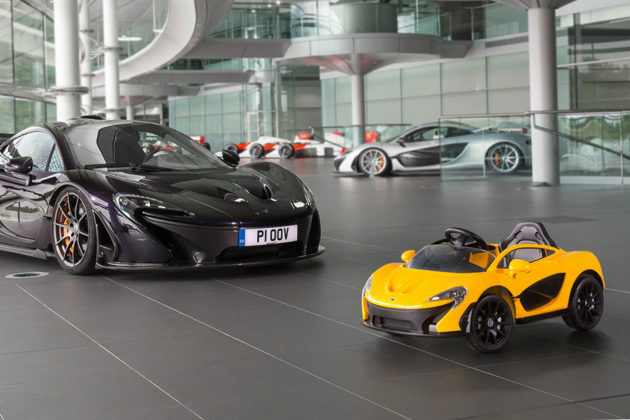 McLaren first pure electric car is also the most compact McLaren ever, and it is for kids, or to be precise, for juniors who are six years of age or younger. And oh, it is a McLaren P1 too. 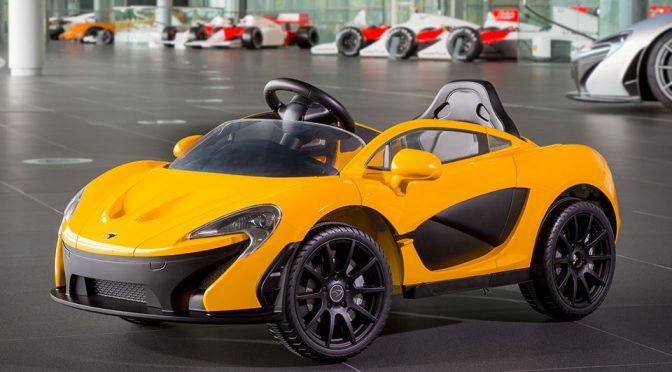 While bearing the same aesthetic as its adult-size sibling (though a little on the cartoonish side, we must say), this destined for juniors sport car has couple of features that will make any grown up McLaren P1 owner green with envy. For starter, it has a central driving position reminiscing that of the McLaren F1 and it is open-top. Heck, it is not even a drop top. 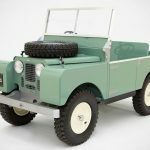 It is a open top. The best part is, McLaren managed to incorporate those while still retaining the dihedral doors. And did we mention it is freaking fast too? 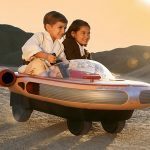 Like, it takes a scant two seconds to take it from zero to its top speed. 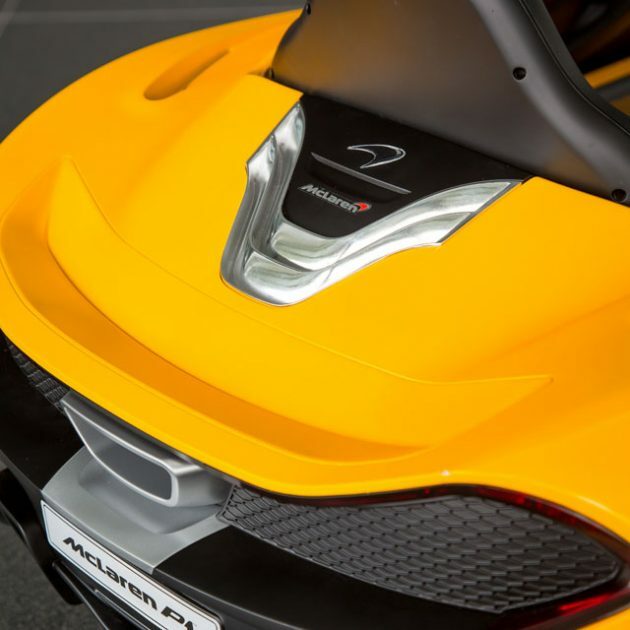 Actually, there’s another feature which the larger P1 lacks: a one-button stop/start function that, when activated, automatically turns on the lights and “air conditioning” unit. How’s that for simplicity of operation? Also onboard this P1 mini me is an audio system with MP3 playback capability that comes pre-loaded with every popular nursery rhyme and last but not least, despite being an electric drive, it does have a three-speed transmission, plus a reverse gear too. 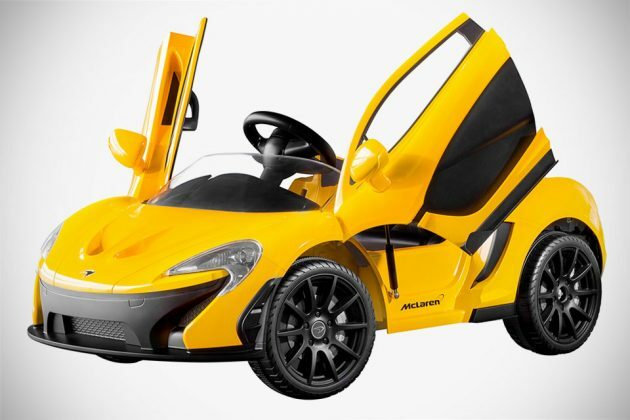 The Ride On McLaren P1 for Kids, as it is officially called, will be available end of October from select McLaren Automotive retailers world wide, priced at £375 per unit, or approximately US$487 based on the current going rate at the time of this writing, which is on par with Tesla’s offering. Sounds like a sound pricing strategy there. Way to go McLaren. 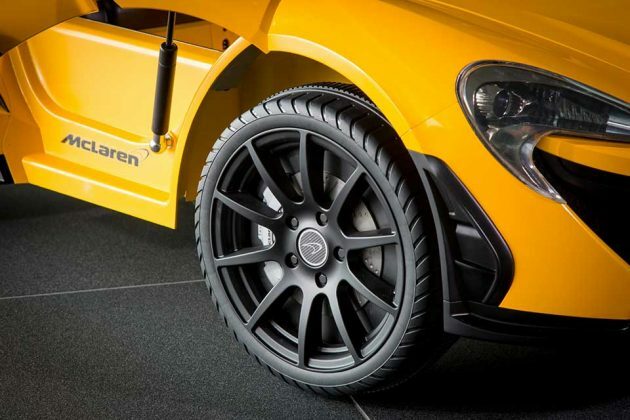 Images courtesy of McLaren Automotive. Previous PostDeepFlight’s New 3-Seat Super Falcon Submarine Targets Tropical ResortsNext PostWould You Pay Half A Million For A Black Diamond Embellished iPhone 7?